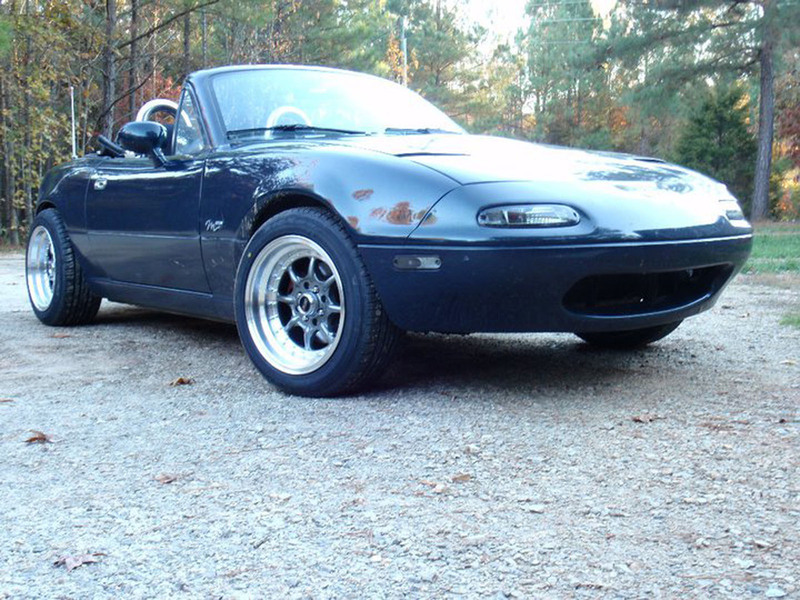 1994 M-edition Miata with 104,000 miles. The car is not perfect but it runs and drives very well. It is a daily driver and is very good on gas 1.8L four cylinder. Sporty 5-speed with new suspension and wheels and tires less than 10k miles on suspension and wheels and tires. Has loud after market exhaust system on it not sure of the brand, it was on the car before I got it. Has cold a/c and heat works great. Has limited slip dif. from the factory. There is no carpet at all in the car. The original leather seats are torn. Paint has chips on front bumper and a bubbled up spot on the hood due to heat put off by the previous owner’s turbo kit. Turbo kit and intercooler piping go with the car and was removed due to faulty waste gate. Fenders need to be flared out to clear the zero off set rims that are on the car.